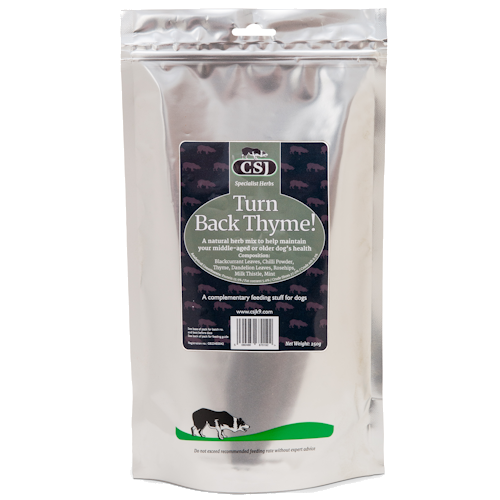 Blackcurrant & Thyme for the respiratory sytem and intestines, Rosehips as a potent natural source of Vitamin C, Mint - to aid digestion, Milk Thistle - to support the liver, Dandelion to help flush the kidneys. Cayenne is an all rounder which also helps normalise Blood Pressure and promote a healthy stomach lining. A daily dose of the mix should be added to your dog's dinner - either once a day or split into two. The 5ml scoop is contained in the pot.